This is a slide from the customer acquisition presentation I am working on (click here). Now, I get it ... if you are a $1,000,000 business catering to an 18-39 year old audience, social media means everything. But if you are a $100,000,000 cataloger catering to a 63 year old customer, well, social media is meaningless. But put that discussion aside for a moment. In the slide above, Zara has more than 7 million followers on Instagram. That's the very definition of a prospect list. Zara has permission to share imagery and imagination with the prospect list. Let's assume you are a cataloger (I know, many of you aren't). What is your prospect list? In other words, what is the list that you get to market to, that you have permission to market to? I know how my business works. 100,000 uniques read at least one blog post per year. 50,000 - 100,000 unique individuals see 1+ tweet a month. 2,500 subscribe to the blog. 850 subscribe to the blog via email. 1,000+ uniques have listened to at least one podcast. 15 - 40 companies hire me for a project in any given year. In other words, I have a really big prospect list. And it is not easy to build a prospect list. Not easy at all. It is hard work, work with minimal rewards on a daily basis but huge rewards over time. Back to your business, as a catalog brand. What is your prospect list? If your prospect list cannot be accessed unless you give a gatekeeper $0.06 per prospect, you have a problem. 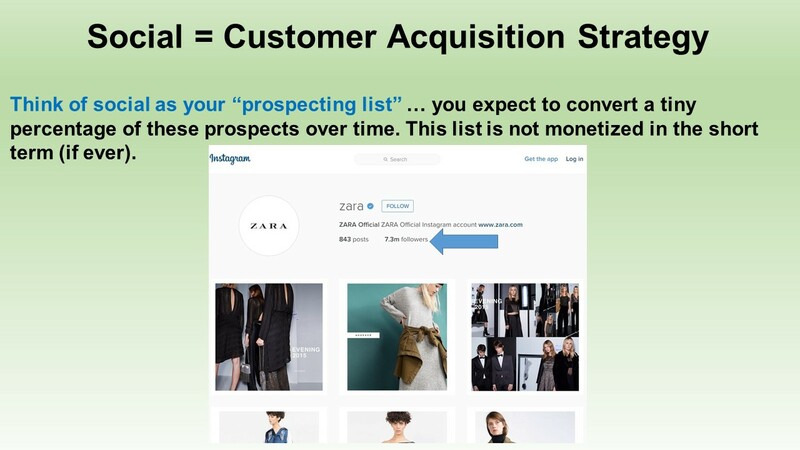 If your version of a prospect list is the rental of email addresses (while your e-commerce competitors easily collect email addresses from non-purchasers for free), you have a problem. First may I just say, great blog. I first discovered it 3 days ago and have read through about 3/4s of your posts. "If your prospect list cannot be accessed unless you give a gatekeeper $0.06 per prospect, you have a problem. 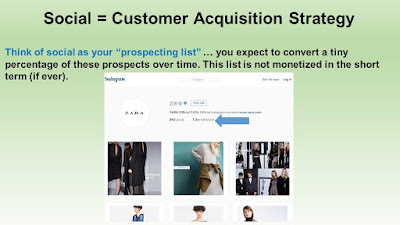 If your version of a prospect list is the rental of email addresses (while your e-commerce competitors easily collect email addresses from non-purchasers for free), you have a problem." Without giving away your secrets, can you outline how a business can obtain a prospect list without paying a rental fee/gatekeeper? - 100k uniques... if they have not self identified then how do you market to them? - 50k-100k unique Twitter impressions... how can you access that aggregated and anonymized list? - +5k Twitter followers... how can you apply marketing/segmentation strategy to these users? Are you doing something beyond continuous twitter postings (such as a communication strategy)? The rest of the stats make sense to me on how you market to them, but the ones I listed above seem like they are in-accessible holistically, and especially coupled with the strategic communication approach you write about. If your definition of a "list" is a group of individuals where I know personally identifiable information, then my post will not make sense to you. If the definition of a list is a group of prospects where you may or may not know personally identifiable information about the prospect, then the post makes more sense. For instance, if I watch 27 Duluth Trading Company commercials about underwear, I am on their prospect list, make no mistake about it. They can continue to reach me - in their case, by paying ESPN $$$. In my case, my prospect list are Twitter followers. Those followers amplify my message for me. For instance, a New York Times best selling author frequently forwards my tweets & posts to his audience. I don't have any way to access his followers, nor do I want access. I have access to him. I earned that access. Earned access leads to indirect access. I do not segment my Twitter audience. I do execute what I call "indirect segmentation", in that I say things that are not part of the conventional wisdom of my audience on Twitter. This causes me to be unpopular out there (if I said what people liked, I'd have 100,000 followers). But the content strategy causes me to attract a specific audience that then questions my line of logic. This is good, because it keeps me on my toes. This is good, because it causes me to develop products and services that "fill a hole" in the marketing world. By doing that, I have minimal competition. In other words, my communication strategy results in a following that is different than my competition, and that following sharpens my analytical mind, resulting in products and services that have minimal competition. Minimal competition is good in consulting work. I am asking readers to not think about prospecting in terms of lists that are housed in a database via personally identifiable information. 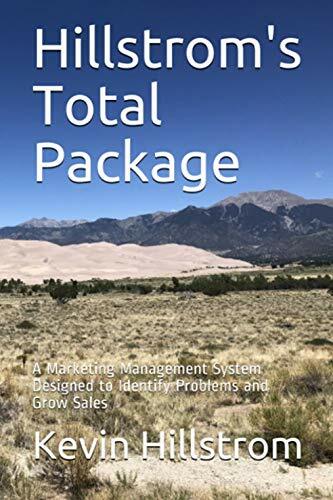 I am asking readers to think about prospecting in terms of a list of prospects that receive information about my brand. Sometimes I have to pay (TV commercials, for instance) to get the message out there. Sometimes my strategy causes information to get there for free. The latter is far better.